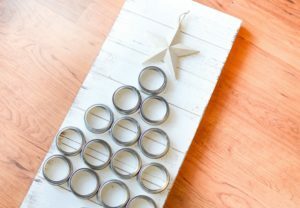 These 15 Easy DIY Christmas crafts will make the perfect addition to your house this Christmas. 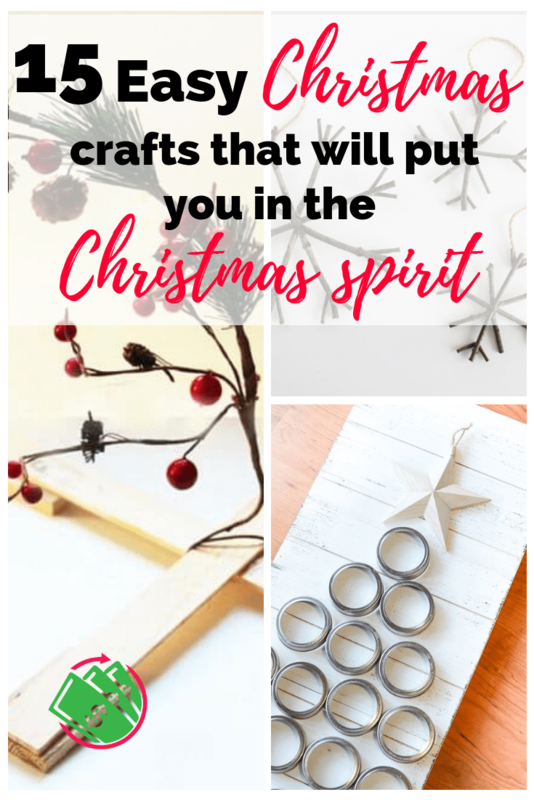 They can even make cheap gifts that your friends and family will love. They are personalized and rustic and look way more expensive than they are. 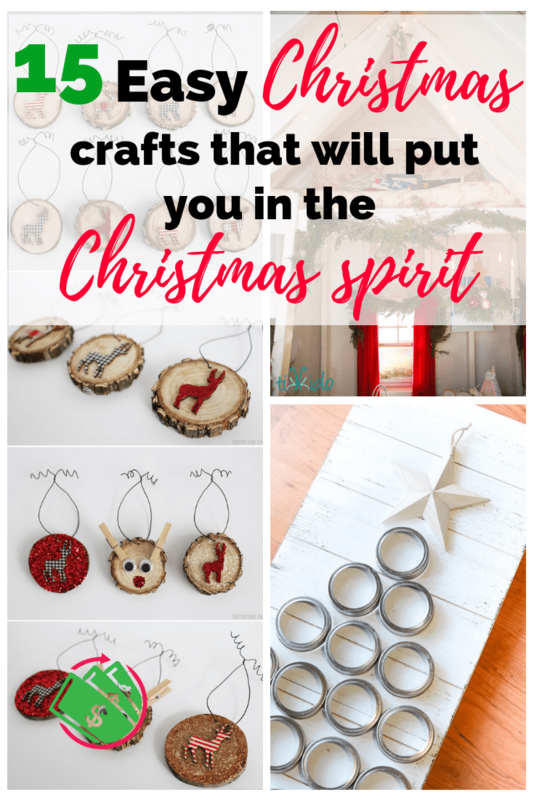 You could even sell a lot of these crafts and make some extra money for Christmas! 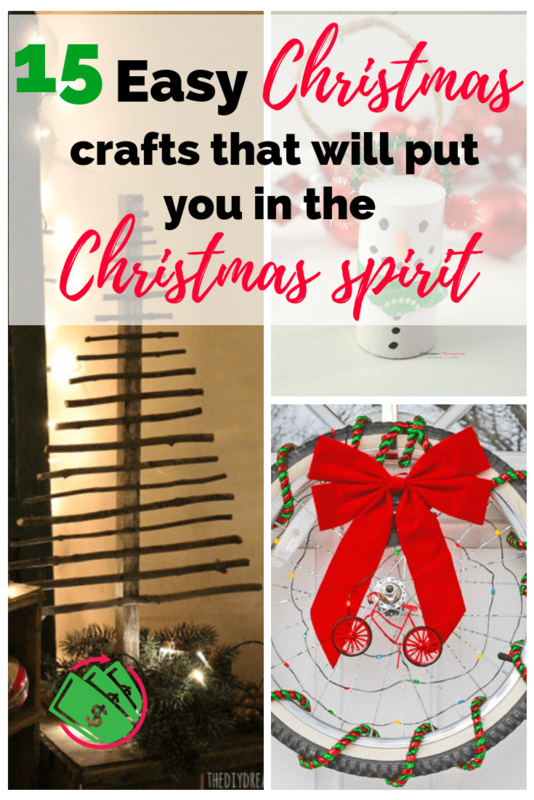 Most of these crafts are made with materials you have lying around. 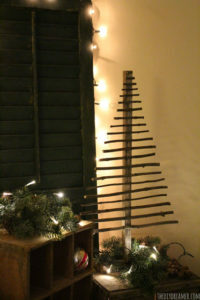 You can repurpose material or go looking through your yard for ideas. You can even turn it into a scavenger hunt for the kids. Let them look for the materials you need and then help make the crafts. 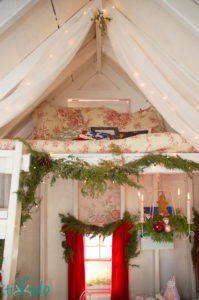 Either way, these ideas will entertain your kids during those cold wintry days without them tearing up your house. At least we can hope right? 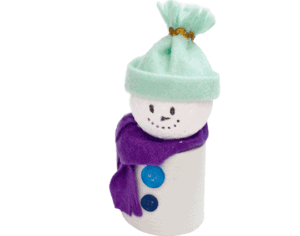 This is the cutest craft you can do with kids or just to decorate your house. Here’s a craft for all those wine corks you have laying around this time of year. These are simple and cheap to make. You can use whatever you have laying around the house. Are you a bicycle enthusiast? This is the perfect Christmas wreath for you. How cute is this thing? 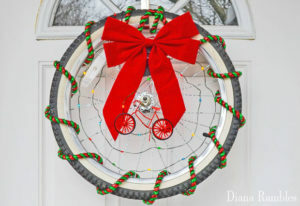 Have you ever thought to make a wreath out of a wheel! This is a unique sewing craft that can be used using scrap fabric you already have. She even gives you a step-by-step tutorial so you feel confident doing it on your own. Do you have a ton of sea shells from the beach that are jus sitting in a jar on your counter or even in a box somewhere? 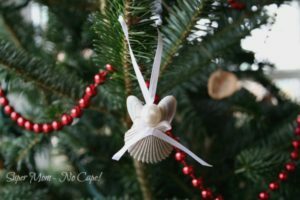 Here is a new use for your sea shells! 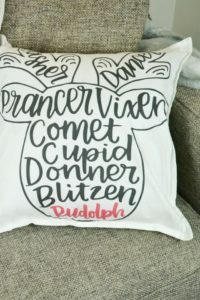 These are the cutest pillows ever! Now you can make your own and save tons of cash! You can even make them as gifts and let people think you spent a bunch of money on them:). These ornaments are made out of fleece so you don’t have to worry about the kids or animals breaking them. The kids can even play with them. It’s a free way to spruce up your house for Christmas. 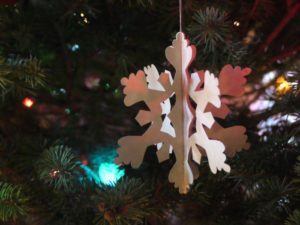 Garland can be expensive but you can save a lot of money if you can find the materials and make it yourself. 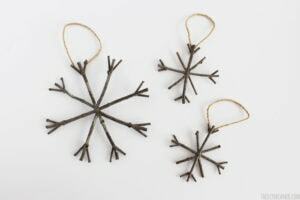 These ornaments are simple yet cute. All you need is a hot glue gun and some imagination. You could even sell these and make some extra cash for Christmas! 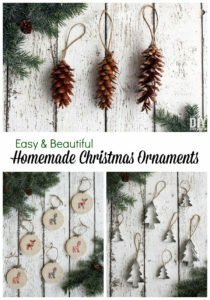 These ornaments would be great for gifts and can use free or cheap materials. 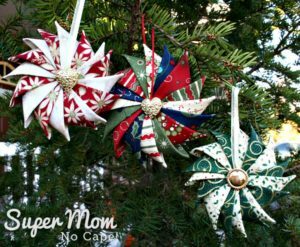 These would make simple and cute gifts or decorations for any tree. 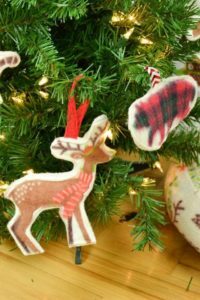 These deer ornaments are rustic and can be customized to your taste. They would look great on an all White Christmas tree. 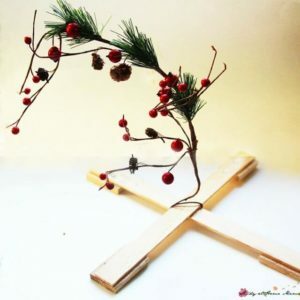 Make your own Charlie Brown Christmas tree! Use scraps of materials and things you find around the house. This is a simple and very easy design even if you are not crafty. 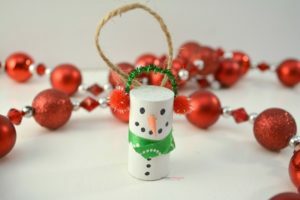 This is a craft the kids will love to help make. Your kids will have fun and it will give them something to do on those cold winter days. These easy and cheap craft ideas are cute and easy to make. They will give your kids something to do when it’s cold and snowing outside. Pick a couple and plan to do them when you are snowed in this winter. It makes the days go by faster and easier with little kids when you are prepared with activities. 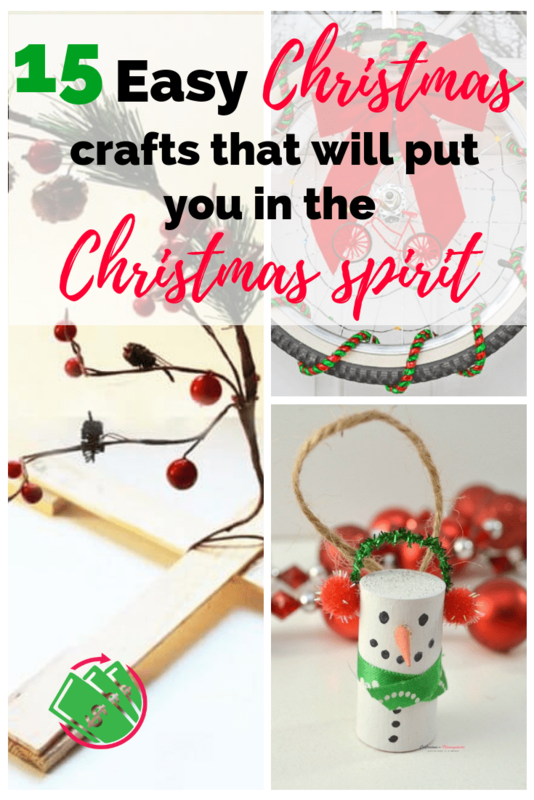 This will keep you from going insane once the kids start bouncing off the walls and will make great gifts or decorations for your own house. Let me know if you sell any of these for some Christmas cash!